If you've traveled outside the United States, it's likely you've been in a bathroom with a bidet. Whether or not you used this puzzling porcelain device or had the faintest notion of its purpose is another matter. In brief, a bidet is a fixture equipped with a water stream meant for post-toilet personal hygiene. It's a common sight in bathrooms throughout Europe and Asia. In Japan, where bathing is a revered ritual, nearly every home boasts a toilet with a built-in bidet, a modern hybrid that's become a must-have amenity in many luxury hotel bathrooms. All of which makes America's cluelessness about bidets even more confusing, especially considering how aggressively scrubbed and germ-free we're taught to be. But like other green energy advocates, Vartan's fondness for bidets goes beyond basic hygiene. Many eco-conscious folks argue that bidets help conserve trees by cutting back on the manufacture and overuse of toilet paper. What's more, bidets save water—not only what is required to make that toilet paper, but also the countless gallons Americans squander showering when the quick-yet-thorough cleanup a bidet provides may be all that's necessary. Folks with certain medical issues might be missing even more by not installing a bidet in their home. Conditions such as inflammatory bowel disease or hemorrhoids can make the use of toilet paper inefficient or uncomfortable. Instead, a bidet's gentle stream can provide soothing relief and thorough cleaning. Pregnant women and those with reduced mobility may also find that a bidet with an electronic keypad control helps reduce unnecessary stretching and straining. While the numerous advantages of a bidet may sound appealing, the installation of an additional fixture in your bathroom may be out of the question. Fortunately, there are all sorts of options you can buy that don't require a complete remodel including "smart toilets" with built-in bidet functions. You'll also find a number of high-quality seats and hand-held attachments on the market that provide add-on bidet functions to an existing toilet. 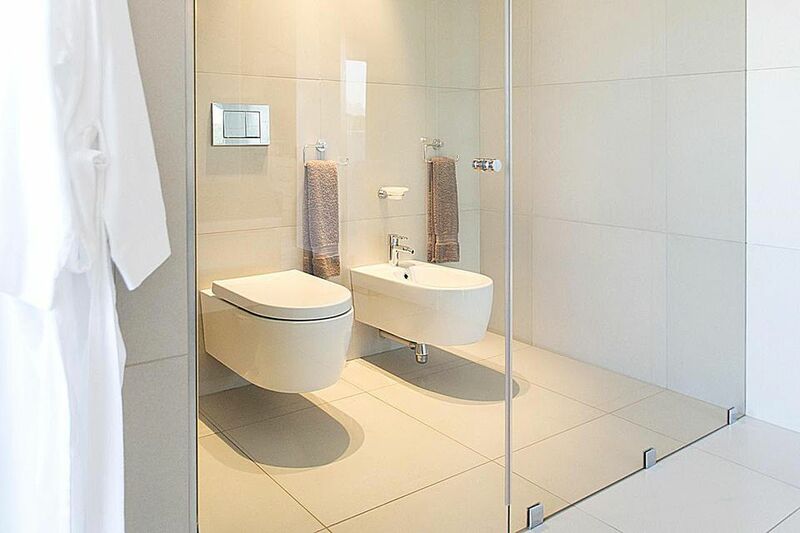 Toilets with integrated bidets: Most of today's high-tech toilets incorporate a bidet function along with all sorts of pampering features. Toto's compact Washlet G500 comes with a built-in deodorizer, sensor-activated lid opener, and hands-free automatic flusher. Bidet seats: Easy to install and simple to use, a bidet seat instantly converts your toilet into a high-tech throne. With electronic models, the touch of a button extends a small nozzle beneath you that sprays a comfortable stream of warm, aerated water. When you’re done, the nozzle automatically cleans itself before retracting back into its sleeve. Many models also come with heated seats and air dryers, while some, including the popular Brondell Swash 1000, also boast energy-efficient tankless water heating systems. There are a number of eco-conscious, non-electric bidet seats as well. These require only water pressure to operate and tend to be less expensive than their electric and battery-operated counterparts. Bidet attachments: These very affordable, easy-to-install products are mounted to the underside of an existing toilet seat and require no batteries or electricity to operate. The Bio-Bidet Elite 3 connects to your toilet's fresh water supply line and features front, rear, and nozzle cleaning modes. However, do keep in mind that the water isn't heated. Handheld Bidets: Similar in price to bidet attachments, these models resemble handheld shower sprays. Brondell's CleanSpa can be installed on virtually any toilet with an external water supply.